Very pleased with our purchase and with the outstanding customer service. Our order was shipped quickly and we think our granddaughter will love her beautiful necklace. And an extra thank you to Isaac for his excellent service. 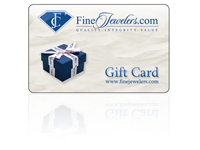 We highly recommend Finejewelers.com! I ordered a 1.2 mm- 20 inch wheat rose gold chain and I am very happy wiith quality as described and honesty of this family owned business. I highly recommend them. I will buy again. The chain I ordered was exactly what I wanted and needed. The quality is good and delivery was very prompt. Initially after I ordered the earring jackets, I was advised they were temporarily out of stock. They offered me a discount on another item at the time. Then, advised me when the earring jackets I wanted were available and I immediately ordered them! The staff was very nice and courteous. I will definitely order from them again. I was very disappointed when I received my item. The chain was way too short & very flimsy. I expected a more sturdy, heavier chain & a much longer one, than what I received. The pics. are very deceiving, even the Italian Horn was a lot smaller than I expected. I will look for a more sturdier product in the future. Ordering was easy. Delivery was on time. I lost my wedding band while playing golf and had to replace it. My order went smooth and you gave me a 15% discount to ease the pain. Thanks! very happy. fast and efficient just the way i like it to be.